Pumpkin bread is a traditional sweet desert bread, popular in the cooler fall and early winter months, with a flavor reminiscent of a pumpkin pie! It's very easy to make and you'll be surprised how good it tastes! You can even use this to make pumpkin muffins! 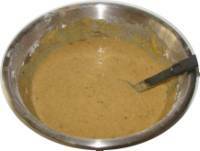 In a large mixing bowl, stir together the flour, soda, salt, cinnamon, allspice, nutmeg and sugar (or Splenda). Pour into two lightly greased and floured 9x5" loaf pans. 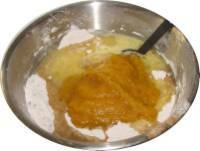 A visitor writes on October 03, 2010: "I tried your pumpkin bread recipe using a fresh sugar pumpkin that I roasted at 350 degrees wrapped in foil for an hour. This is without a doubt one of the most moist breads I've ever had. I made the recipe into five, 3x5 loaves to share with friends and people are already begging for more! Thanks so much for this website! " A visitor writes on November 12, 2008: "I just wanted to let you know that I made the pumpkin bread with the directions from your website, including the instructions for making my own pumpkin and it turned out fantastic. Thank you very much for the recipe." 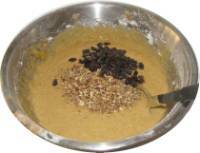 A visitor writes on October 04, 2013: "I have used this pumpkin-bread-from-scratch recipe of your for years. My family practically begs me to make it year round. To facilitate these requests; I use a rather large pumpkin and just freeze in 4 loaf servings (big family). Thanks a ton, your website is awesome! Sincerely, J.D."